Shane Shirley : Top 10 Healthiest States for 2011...Did Your State Make The List? 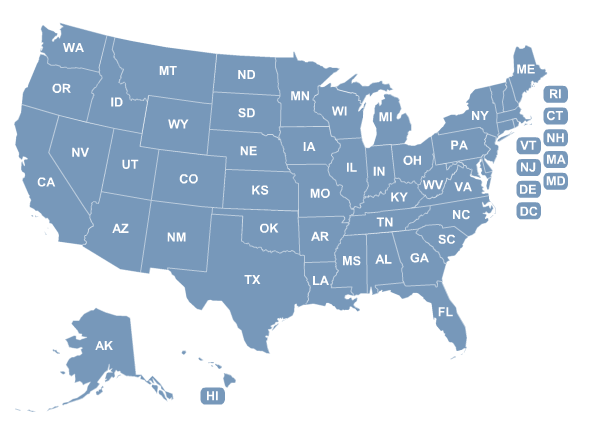 Top 10 Healthiest States for 2011...Did Your State Make The List? Click the map above to visit America's Health Rankings for an interactive look at just how healthy your state is! Emerging from a ranking of 17th in 1998, America’s Health Rankings® 2011 Edition puts Vermont at the top of the list of healthiest states again this year. New Hampshire, which has ranked in the top 10 every year of the index, improved its 3rd place ranking moving into second place this year. Connecticut is number three, followed by Hawaii and Massachusetts. And same as the last 10 years, Mississippi comes in at 50th and keeps its ranking as the least healthy state. Louisiana is 49th while Oklahoma, Arkansas and Alabama complete the bottom five states. So what does Vermont have that Mississippi doesn't? Vermont is one of 18 states in the U.S. that allows a philosophical, personal or conscientious belief exemption to vaccination. Unfortunately, two current bills propose to eliminate the philosophical exemption to vaccination for children attending school or college: S.199 and H. 527 pose a serious threat to the philosophical exemption to vaccination in Vermont. Click here to read this article and learn more about what the Pharma/Medical Trade lobby is doing to strip informed consent protections from state public health laws including Vermont..the healthiest state in America. Vermont’s other strengths include its number one position for all health determinants combined, which includes ranking in the top 10 states for a high rate of high school graduation, a low violent crime rate, a low rate of infectious disease, a high usage of early prenatal care, high per capita public health funding, a low rate of uninsured population and ready availability of primary care physicians. Vermont still has it's areas that need improvement though. Vermont has a relatively high number of occupational fatalities at 4.3 deaths per 100,000 workers and a they also have a high rate of binge drinking at 17.1 percent of the population. This year, same as the last 10, Mississippi remains in 50th place. Although Mississippi ranks well for a low prevalence of binge drinking and a low violent crime rate, the state still ranks in the bottom five states on 12 of the 23 measures. Mississippi has a high prevalence of obesity, a low high school graduation rate, a high percentage of children in poverty, limited availability of primary care physicians and a high rate of preventable hospitalizations. Mississippi ranks 48th for all health determinants combined, so its overall ranking is unlikely to change significantly in the near future.